Captain Beryl Richard Newman (2 November 1911 - 8 March 1998) was a U.S. Army officer who was a recipient of the U.S. military's highest award for valor, the Medal of Honor, for his heroic actions during World War II. Beryl Richard Newman was born on 2 November 1911 in Baraboo, WI; he also joined the Army from that town. 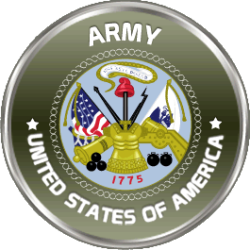 On 26 May 1944, he was serving as a First Lieutenant with the 133d Infantry, 34th Infantry Division. Near Cisterna, Italy that day, Newman and his platoon approached a German machine gun emplacement on the Anzio-Nettuno defense line. Newman, scouting ahead of his platoon, remained standing under enemy fire to ascertain the positions of the emplacements. Noting them, he proceeded to lead a machine gun unit from his platoon to a position from which they could open fire on the Germans. However, the fire was ineffective. Newman then single-handedly advanced on the two machine gun nests, wounding two Germans and causing the other two to flee. Three more Germans came rushing forward to another nest, but Newman killed two of them; the third fled. Newman and his platoon took eleven prisoners; Newman himself had destroyed three enemy machine gun emplacements. For his heroism, he was awarded the Medal of Honor. 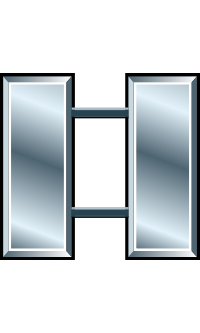 Rank and organization: First Lieutenant, U.S. Army, 133d Infantry, 34th Infantry Division. Place and date: Near Cisterna, Italy, 26 May 1944. Citation: For conspicuous gallantry and intrepidity above and beyond the call of duty on 26 May 1944. Attacking the strongly held German Anzio-Nettuno defense line near Cisterna, Italy, 1st Lt. Newman, in the lead of his platoon, was suddenly fired upon by 2 enemy machineguns located on the crest of a hill about 100 yards to his front. The 4 scouts with him immediately hit the ground, but 1st Lt. Newman remained standing in order to see the enemy positions and his platoon then about 100 yards behind. Locating the enemy nests, 1st Lt. Newman called back to his platoon and ordered 1 squad to advance to him and the other to flank the enemy to the right. Then, still standing upright in the face of the enemy machinegun fire, 1st Lt. Newman opened up with his tommygun on the enemy nests. From this range, his fire was not effective in covering the advance of his squads, and 1 squad was pinned down by the enemy fire. Seeing that his squad was unable to advance, 1st Lt. Newman, in full view of the enemy gunners and in the face of their continuous fire, advanced alone on the enemy nests. He returned their fire with his tommygun and succeeded in wounding a German in each of the nests. The remaining 2 Germans fled from the position into a nearby house. Three more enemy soldiers then came out of the house and ran toward a third machinegun. 1st Lt. Newman, still relentlessly advancing toward them, killed 1 before he reached the gun, the second before he could fire it. The third fled for his life back into the house. Covering his assault by firing into the doors and windows of the house, 1st Lt. Newman, boldly attacking by himself, called for the occupants to surrender to him. Gaining the house, he kicked in the door and went inside. Although armed with rifles and machine pistols, the 11 Germans there, apparently intimidated, surrendered to the lieutenant without further resistance, 1st Lt. Newman, single-handed, had silenced 3 enemy machineguns, wounded 2 Germans, killed 2 more, and took 11 prisoners. This demonstration of sheer courage, bravery, and willingness to close with the enemy even in the face of such heavy odds, instilled into these green troops the confidence of veterans and reflects the highest traditions of the U.S. Armed Forces. He retired from the service with the rank of Captain. He is one of 61 Wisconsinites to be awarded the Medal of Honor, and one of twenty members of the 34th Infantry Division to be so honored. Captain Beryl Richard Newman died on 8 March 1998 at age 76. He is buried at Remlik Gardens in Remlik, Middlesex County, VA.